Welcome to Hogwarts! Are you a brave Gryffindor? A loyal Hufflepuff? A wise Ravenclaw? Or an ambitious Slytherin? 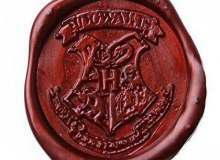 Consider this quiz your Sorting Hat ... It will look into your mind and help you learn where you belong at Hogwarts! Good luck! This Sorting Hat quiz was developed for The Cupboard Under the Stairs, a unique immersive Hogwarts experience for those who have always longed to receive their Hogwarts owl. Which of the following would most likely be your motto? Your housemates seem to already know who you are! What do they know you for? If given the opportunity to intern at the Ministry, which department would you work for? It’s your first day of classes at Hogwarts! Which class do you hope to see first on your course roster? You enter the herbology greenhouse. Professor Sprout instructs you to pick a plant from the farthest table to work on that day. Which plant do you choose? The creeping vine that appears to be giving you the evil eye. You are tasked with writing an essay on a famous witch or wizard. Which do you choose? It’s time to move into the wizarding world! Which home would you choose to inhabit? You enter a room and are immediately struck by a variety of scents—it might be amortentia, but you love it. Among the many smells, which ones stand out to you the most? Before you sits a table with several items. Which do you take as your own? Some silly student playing a prank has set a section of the Library on fire! Which first edition book do you scramble to save? Which title would you rather have as an epithet? You go to your Head of House to request a dorm change, because you and one of your dormmates simply cannot get on. Your Head of House asks what bothers you most about them. What do you say? They are too apathetic, and need to control everything. They are a braggart, and never follow through on promises. They are close-minded, and seem incapable of taking into account what anybody else thinks or feels. They are sloppy, and constantly prevent productivity. You receive a special award for services to the school. What have you done that led to this honor? Uncovering a plot against the Headmaster and holding off the perpetrator until the other professors arrived. You are presented with a potion that will endow you with special powers for 24 hours. Which do you choose? You are invited to the home of one of your muggle born classmates for holiday. What is the first thing you ask about when you enter their home? Their sporting equipment and the purpose of a vacuum cleaner. Their telephone and what their parents do for a living. Their laptop computers and a strange feature of the house you notice in the front room. Their car and the significance of a family heirloom set on the mantle. You are walking through Hogwarts castle when you find yourself in a hallway with four doors. Which door do you walk through? Oh no! You’ve missed the Hogwarts Express! What do you do? Take the floo network to Hogsmeade and pay the first wizard you see to take you to the castle. Take a deep breath, send an owl to your head of house, and people watch while you wait for a response. Summon the Knight Bus and see if it can get you anywhere near Hogwarts, or else to the Ministry of Magic. Head back home and request that your parents arrange new transport, before settling into your favorite chair with a book and snack. Your professor sends you into the Forbidden Forest for a class assignment. Which path through the forest do you take? While walking the grounds of Hogwarts you come across a mysterious pool. When you gaze into it, what do you see? While walking the halls of Hogwarts you see several activities taking place in the rooms around you. Which activity do you check out first? A noted alchemist putting on a demonstration for a class with a red stone, white powder, and mysterious black liquid. A fellow student with whom you have a moderate rivalry challenges you to a magical contest. Which would you suggest?